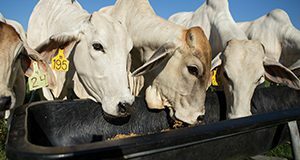 This 6-page document provides a list of common hazards to consider in the manufacturing of cattle feeds. It discusses the importance of preventing hazards, methods of prevention, and common physical, biological, and chemical hazards. Written by Taylor Langford, Matthew Hersom, Luiz Ferraretto, Antonio Faciola, Chad Carr, and Jason Scheffler, and published by the UF/IFAS Department of Animal Sciences, March 2018. This new poster includes all of the lamb and variety meat cuts, primals, and cooking methods that are included in the Florida 4-H Meat Judging Contest. 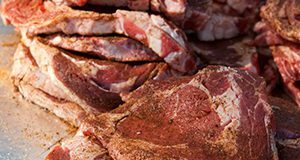 This contest, coordinated by the Florida 4-H Animal Sciences program, develops life skills through activities related to the processing of beef, pork, and lamb, including retail identification, meat quality factors, and cooking methods. Written by Brian Estevez, Chad Carr, and Larry Eubanks, and published by the UF/IFAS 4-H Youth Development Department, December 2017. This new poster includes all of the beef cuts, primals, and cooking methods that are included in the Florida 4-H Meat Judging Contest. 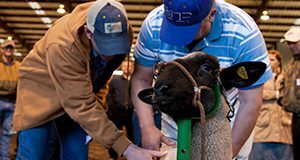 This contest, coordinated by the Florida 4-H Animal Sciences program, develops life skills through activities related to the processing of beef, pork, and lamb, including retail identification, meat quality factors, and cooking methods. Written by Brian Estevez, Chad Carr, and Larry Eubanks, and published by the UF/IFAS 4-H Youth Development Department, December 2017. This new poster includes all of the pork cuts, primals, and cooking methods that are included in the Florida 4-H Meat Judging Contest. 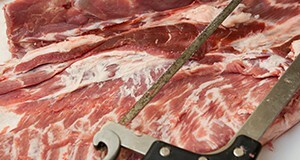 This contest, coordinated by the Florida 4-H Animal Sciences program, develops life skills through activities related to the processing of beef, pork, and lamb, including retail identification, meat quality factors, and cooking methods. Written by Brian Estevez, Chad Carr, and Larry Eubanks, and published by the UF/IFAS 4-H Youth Development Department, November 2017. The Florida 4-H Poultry BBQ program has existed for years, and the program for red meat cookery has been a huge success in Tennessee 4-H. With sponsorship for the winners at the state level, the Florida 4-H Tailgate Contest program will be a success in Florida as well. This program will strive to promote enjoyable outdoor cooking experiences, encourage the incorporation of animal protein in the diet in order to combat childhood obesity, improve youth nutritional knowledge and cooking skills, and impart knowledge about safe handling and proper degree of doneness to produce safe and delicious meat dishes. 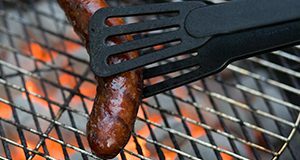 This 2-page fact sheet is the fourth publication in the Florida 4-H Tailgate series, and it discusses smoking and slow cooking meat. Written by Chad Carr, Brian Estevez, Sonja Crawford, Jason Scheffler, George Baker, Ed Jennings, and Mark Mauldin, and published by the 4-H Youth Development Department, December 2016. The Florida 4-H Poultry BBQ program has existed for years, and the program for red meat cookery has been a huge success in Tennessee 4-H. With sponsorship for the winners at the state level, the Florida 4-H Tailgate Contest program will be a success in Florida as well. This program will strive to promote enjoyable outdoor cooking experiences, encourage the incorporation of animal protein in the diet in order to combat childhood obesity, improve youth nutritional knowledge and cooking skills, and impart knowledge about safe handling and proper degree of doneness to produce safe and delicious meat dishes. This 2-page fact sheet is the third publication in the Florida 4-H Tailgate series, and it discusses fire-building. Written by Chad Carr, Brian Estevez, Sonja Crawford, Jason Scheffler, George Baker, Ed Jennings, and Mark Mauldin, and published by the 4-H Youth Development Department, December 2016. The Florida 4-H Poultry BBQ program has existed for years, and the program for red meat cookery has been a huge success in Tennessee 4-H. With sponsorship for the winners at the state level, the Florida 4-H Tailgate Contest program will be a success in Florida as well. This program will strive to promote enjoyable outdoor cooking experiences, encourage the incorporation of animal protein in the diet in order to combat childhood obesity, improve youth nutritional knowledge and cooking skills, and impart knowledge about safe handling and proper degree of doneness to produce safe and delicious meat dishes. 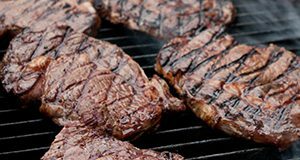 This 2-page fact sheet is the fifth publication in the Florida 4-H Tailgate series, and it discusses meat selection. Written by Chad Carr, Brian Estevez, Sonja Crawford, Jason Scheffler, George Baker, Ed Jennings, and Mark Mauldin, and published by the 4-H Youth Development Department, December 2016. The Florida 4-H Poultry BBQ program has existed for years, and the program for red meat cookery has been a huge success in Tennessee 4-H. With sponsorship for the winners at the state level, the Florida 4-H Tailgate Contest program will be a success in Florida as well. This program will strive to promote enjoyable outdoor cooking experiences, encourage the incorporation of animal protein in the diet in order to combat childhood obesity, improve youth nutritional knowledge and cooking skills, and impart knowledge about safe handling and proper degree of doneness to produce safe and delicious meat dishes. This 3-page fact sheet is the second publication in the Florida 4-H Tailgate series, and it addresses cooking safety. Written by Chad Carr, Brian Estevez, Sonja Crawford, Jason Scheffler, George Baker, Ed Jennings, and Mark Mauldin, and published by the 4-H Youth Development Department, December 2016. The Florida 4-H Poultry BBQ program has existed for years, and the program for red meat cookery has been a huge success in Tennessee 4-H. With sponsorship for the winners at the state level, the Florida 4-H Tailgate Contest program will be a success in Florida as well. This program will strive to promote enjoyable outdoor cooking experiences, encourage the incorporation of animal protein in the diet in order to combat childhood obesity, improve youth nutritional knowledge and cooking skills, and impart knowledge about safe handling and proper degree of doneness to produce safe and delicious meat dishes. This 2-page fact sheet is the first publication in the Florida 4-H Tailgate series, and it discusses cooking equipment. 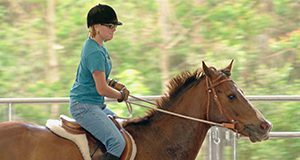 Written by Chad Carr, Brian Estevez, Sonja Crawford, Jason Scheffler, George Baker, Ed Jennings, and Mark Mauldin, and published by the 4-H Youth Development Department, July 2016. The Food Safety Modernization Act (FSMA) was signed into law in January of 2011 and is considered the most sweeping reform of food safety regulations in 70 years. 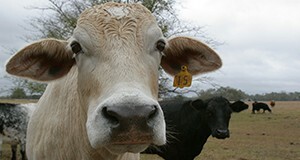 The human food regulations were composed first and, with significant input from industry, academia, and consumer groups as well as other agencies, were then modified to better suit animal food production. In Florida, these new regulations apply to facilities that manufacture, process, pack, or hold food or food ingredients for animals. These facilities may include pet food manufacturers, renderers, ethanol distillers, feed mills, distributors, and others. 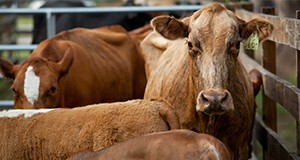 The primary goal of these regulations is to ensure safe food for the animals, people who handle the feed, and people who consume the final animal products. This 3-page fact sheet discusses requirements, facilities that will most likely be expected to be in compliance, deadlines, development of a food safety plan, and preventive controls qualified individuals. Written by Jason M. Scheffler and Chad Carr, and published by the UF Department of Animal Sciences, December 2016. 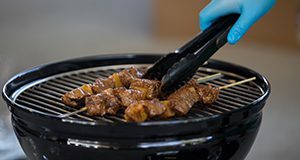 Meat with an abundance of connective tissue presents a certain challenge to cooks who want to make it more tender while still properly eliminating pathogens that cause foodborne illness. Sous vide cookery provides precise temperature control and tenderness improvement with minimal supervision throughout cooking as well as consistent, almost perfect reproducibility. This 4-page fact sheet introduces the reader to the sous vide method and covers its advantages and necessary equipment. The piece also offers tips on cooking, chilling, storing, and reheating large cuts of meat. Written by Chad Carr, Derek Griffing, Kaylie Madore, Dwain Johnson, Jason Scheffler, and João Neto, and published by the UF Department of Animal Sciences, September 2015. Meat processing technology is used to produce many of the foods we enjoy, such as hot dogs, hamburgers, and chicken nuggets. Recently, the media has focused on certain meat products, giving them names such as “pink slime” and “meat glue.” The names of these products might have many people wondering what we are eating and how the meat we eat is produced. Part of being a good consumer is learning about what you eat, from how the food is made to whether the food is safe. 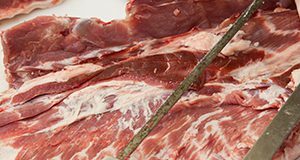 This publication discusses the facts about meat processing so you can make knowledgeable decisions about the meat you eat. This 5-page fact sheet was written by Erica L. Bub, Keith Schneider, Chad Carr, and Matt Hersom, and published by the UF Department of Animal Sciences, December 2012. 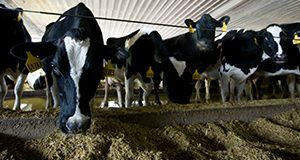 For the past six years, feed costs have continually increased and Florida has greater feed costs than the rest of the country because grain must be shipped here from where it was produced. But the Florida pork producers generally get prices above market value for their pigs because of strong demand for locally-raised foods. 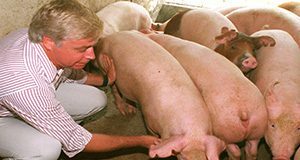 These Florida pork producers could become more profitable if they could significantly decrease their production costs. 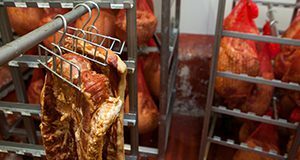 In Florida, pork producers have an opportunity to use citrus byproducts as a feedstuff to substantially and sustainably decrease their feed costs. This 4-page fact sheet was written by J. D. Crosswhite, N. B. Myers, A. T. Adesogan, J. H. Brendemuhl, D. D. Johnson, and C. C. Carr, and published by the UF Department of Animal Sciences, August 2012. 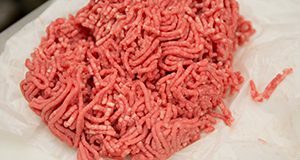 Two very similar finely-textured beef products available commercially and produced from slightly different patented processes have received an increased amount of media attention recently, where they have been referred to as “pink slime.” This 4-page fact sheet is intended to answer some of the consumer questions that have arisen as a result of this increased attention. Written by Chad Carr, Dwain Johnson, Joel Brendemuhl, and Larry Eubanks, and published by the UF Department of Animal Science, July 2012.